So you just started a salon business? Now is the best time to do so since this industry is growing. It has made a significant comeback since the recession, and it is expected to continue to grow in the coming years. If you’re now operating one, then you must know the things that go with owning a salon. To recap, learn about the three phases of a salon business to give you a solid foundation. The first thing you have to know for a solid foundation about business is knowing how to operate one properly. You have to turn the ideas that you have into concrete plans. 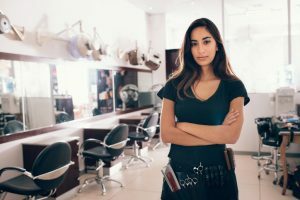 What is my estimated budget for the operations of a salon? What are the non-negotiable costs? Am I targeting the right customers? Is my staff complete or should I hire more? Answering these necessary questions and consulting a business mentor about your operations will serve as your roadmap. It will also be a definite way to guide your business to success. Now that you’ve been operating smoothly, it is time to materialize the plan to keep it going and open. Be sure that you will make it a comfortable place that they would want to visit. Render them excellent service. Keep them coming back with their great overall experience. Save money for marketing. Set marketing plans to attract more clients and become successful. You have made your salon business a success. Then it is the right time for expansion. The good news is that a salon business loan is available and you can apply. This can aid you in furthering your business ventures, such as opening up a second branch or having a major renovation. Don’t hesitate on this investment because beginning a second location is a great opportunity to grow your business even more. Now that you know how to run your salon business, get ready to start doing them. Make sure you operate your salon properly, keep it open, and seek ways further grow it. Now success is now within your reach.